Get set to join in one of the greatest outdoor sports under the sun. 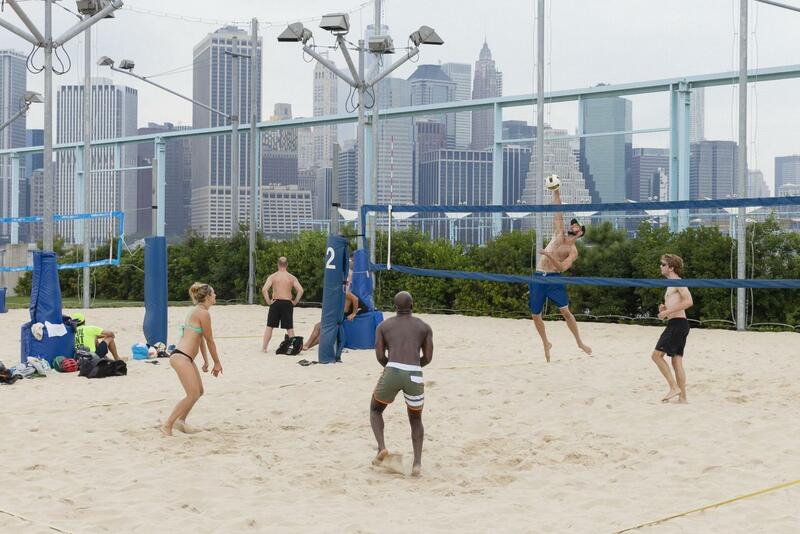 Pier 6 volleyball courts are fun for everyone! 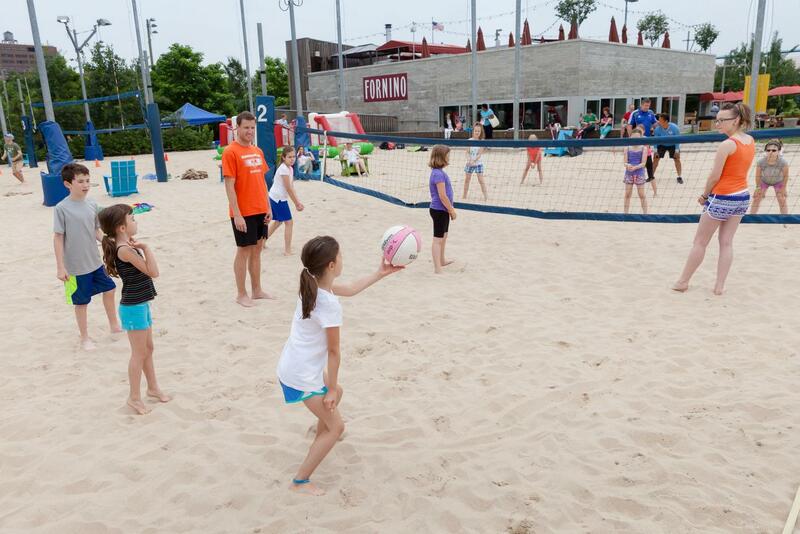 Walk up and play at one of three regulation-size sand courts or apply for a permit for your league. If you need refreshment, Fornino can supply delicious food and refreshing drinks, and it couldn’t be closer. Also nearby are Pier 6’s excellent playgrounds and its beautiful Flower Field. And if you feel like switching sports, Pier 5’s soccer fields are only one pier over and Pier 2 has plenty to offer as well. With stunning views of the Manhattan skyline and only feet from the water, you won’t find courts like these anywhere else. 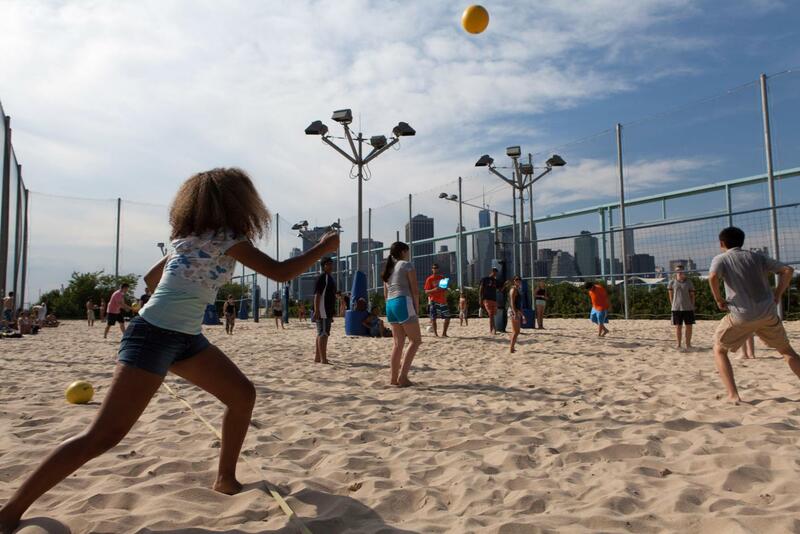 Bring a ball and some friends and discover your new favorite place to play volleyball! 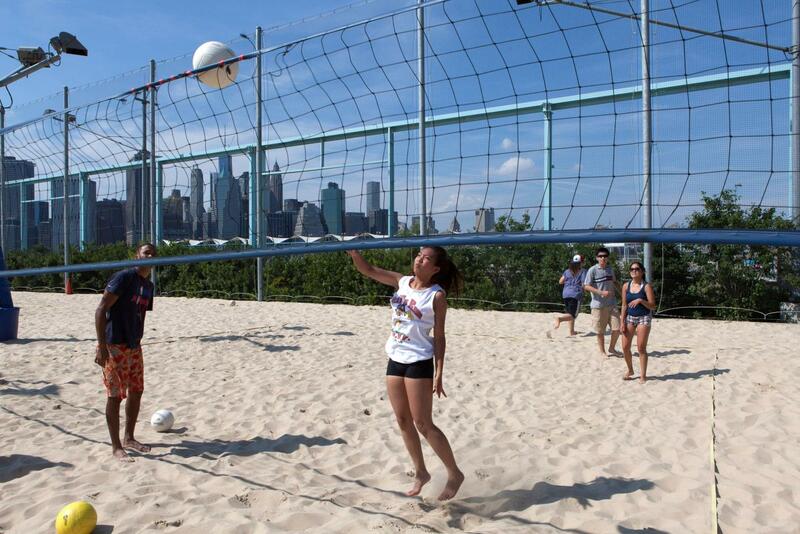 The Brooklyn Bridge Park Conservancy, in partnership with Big City Volleyball, organizes a league and monthly volleyball tournaments throughout the summer. The league is 6v6, with games taking place on Wednesday and Thursday evenings. Please click here to visit the Big City Volleyball webpage where you can learn more about the league and find registration instructions. Spots are limited, registration closes May 16th. You may apply for a permit for your league or event by clicking here.